What an excellent product. I especially like the modern interface. HTMLPad is the bomb! 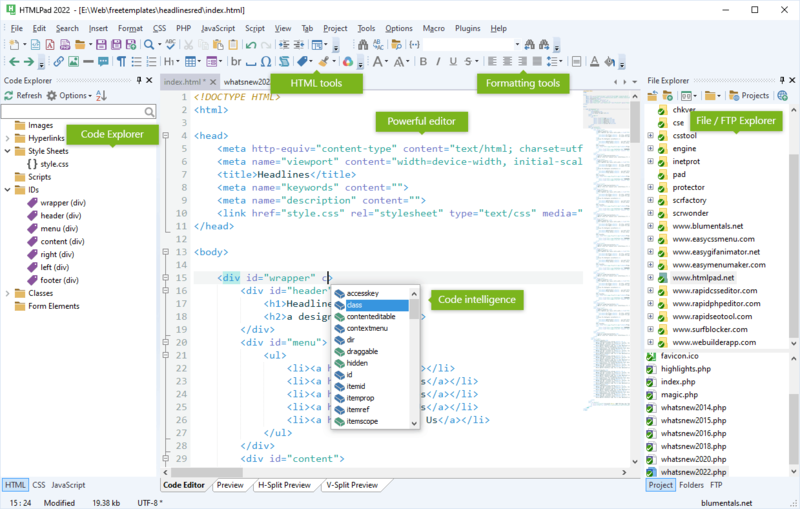 HTMLPad combines speed of a simple editor and power of a full-size development environments allowing you to work much faster. Unlike with other web development editors, you do not have to wait while it loads. HTMLPad is quick, clean and lightweight. It very powerful, yet not stuffed with useless buttons or panels. HTMLPad features are carefully crafted with speed and productivity in mind. Syntax checkers, validators, debuggers, beautifiers, CSS prefixizer etc. HTMLPad is very easy to learn and use. 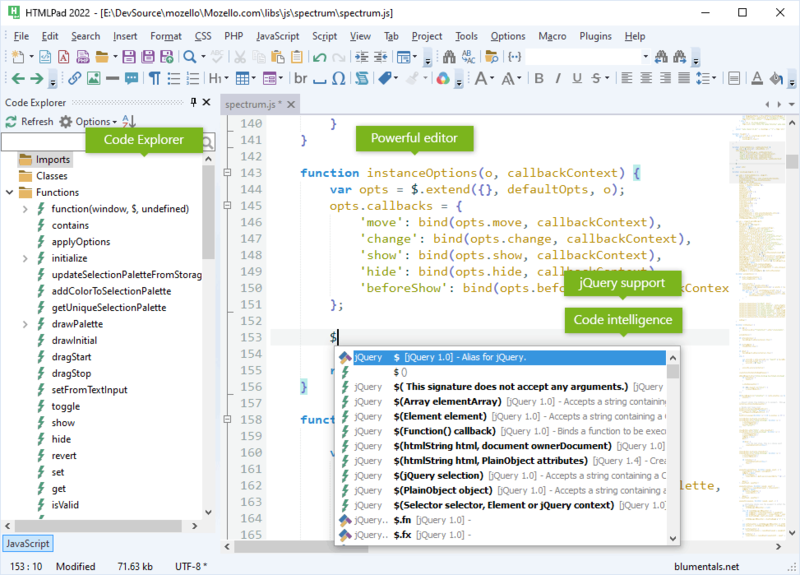 It works like a simple text editor, but offers a lot of helpful features such as HTML and CSS wizards and instant code-snippets, browser preview and more. HTMLPad actually helps you learn web coding and make less mistakes. 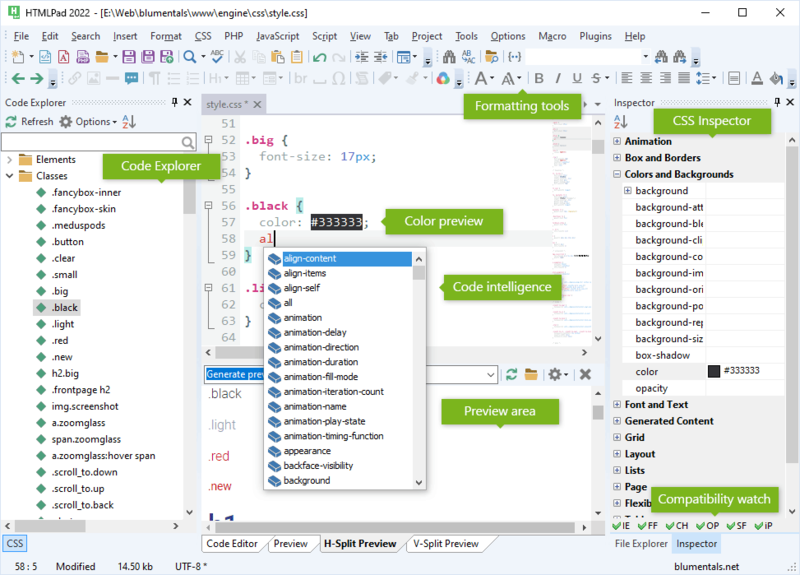 Unlike visual HTML editing tools, text-based editors allows you to work on a professional level and produce quality code. 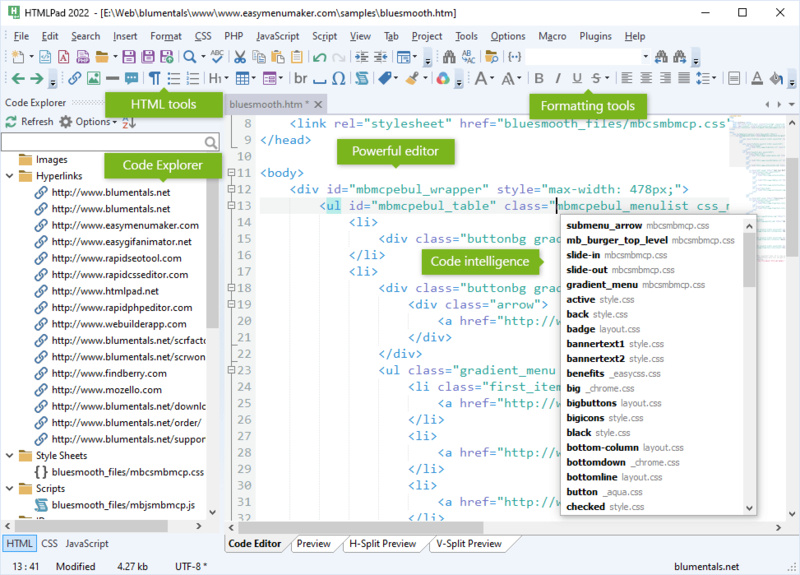 HTMLPad HTML5 editor goes one step further and gives you tools for managing, testing and validating your code.